Just when you thought you were safe from homicidal children’s program puppets, developer Twindigo has released a massive Episode 2 update for their twisted arena shooter Puppet War: FPS [99¢]. Just for a bit of backstory, Pupper War: FPS was released in June of last year, and we really liked it in our review. You played a janitor trapped inside the studio of a popular children’s show trying to fend off endless waves of puppets, who are normally the friendly stars of the show but have decided to turn against humanity. 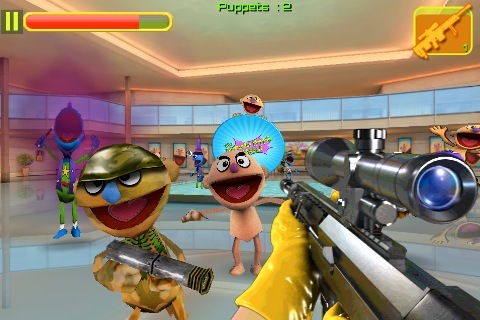 What really made Puppet War: FPS so much fun was the juxtaposition of the sugary sweet characters and scenery set against such violent gameplay. The variety of weapons was also quite fantastic, featuring things like a mop and wrench that you’d expect a janitor to have handy, right on up to wackier items like a plunger crossbow and razor sharp katana sword. The gameplay itself was good too, featuring solid FPS controls and nearly endless replay value. A couple of months after release, Puppet War: FPS received its first meaty update which added a Survival mode, a completely brand new map and several map variants, and new Zombie and Ninja puppets to blast the stuffing out of. Things have been a bit quiet on the Puppet War front since then, but this latest 2.0 update blows even that last huge update out of the water with all its new content. 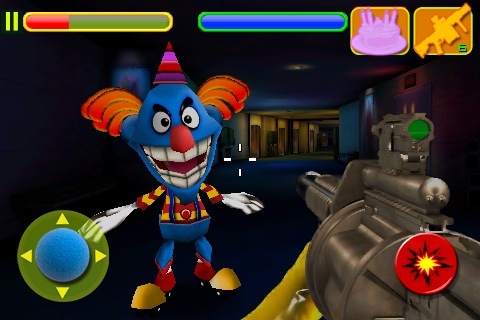 Some of this new content comes at a small price, though, as Episode 2 of Puppet War: FPS is available as a 99¢ in-app purchase. What you get in Episode 2 is 10 new weapons including a flamethrower, grenade launcher, and sniper rifle; 3 brand new maps (2 of which have nighttime variants) featuring locations around the TV studio like the lobby, corridor, and parking garage; 4 new puppets including vampires and magicians; and new boss battles featuring Fluffy from the no longer available lite version of the game and a brand new boss named Smiley the Creepy Clown who will most likely give me nightmares. Not all of the new stuff is part of the paid add-on, though. Current owners of Puppet War: FPS will also have access to a new perks system which can give your character special abilities during play, and you’ll have the ability to upgrade every weapon in the game. Also, the Fluffy boss fight and the Xmas-themed Survival map have been added to the game. Finally, Game Center support has been added for leaderboards and achievements. All of these additions are free for both Episodes of the game. 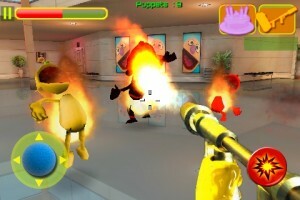 Puppet War: FPS has remained one of my favorite shooters since its release. I had long ago gotten my money’s worth in enjoyment from the title, and sort of figured the developers were done updating it. I was more than pleasantly surprised to see such a giant new update for the game, as were many players in our forums. 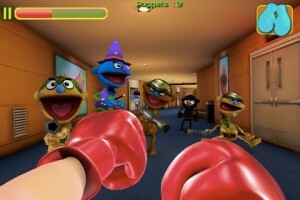 If you haven’t given Puppet War: FPS a try yet, it’s definitely one worth checking out.